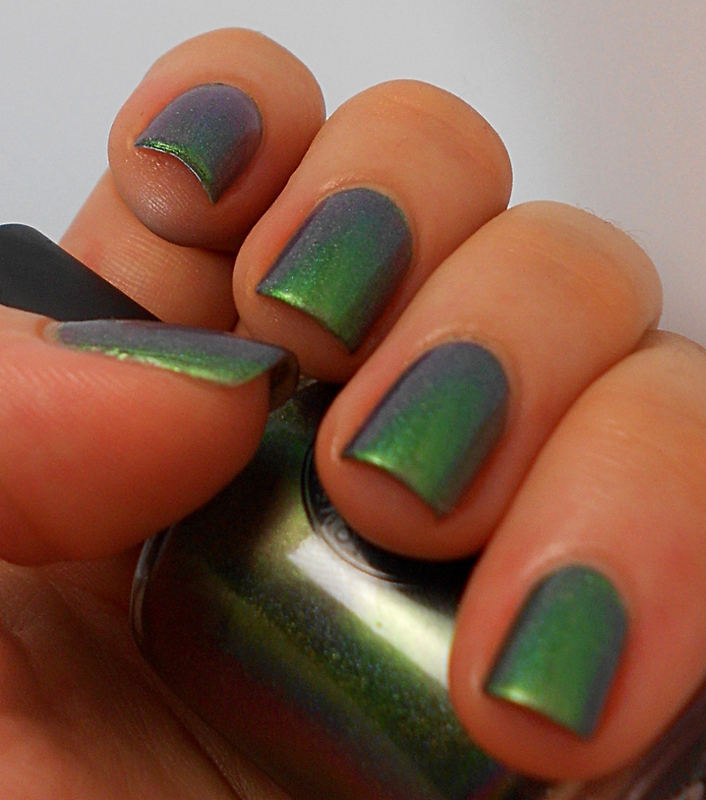 Today I have my second Ultrachrome from I Love Nail Polish to show you! I showed the first one, Birefringence (H), here. 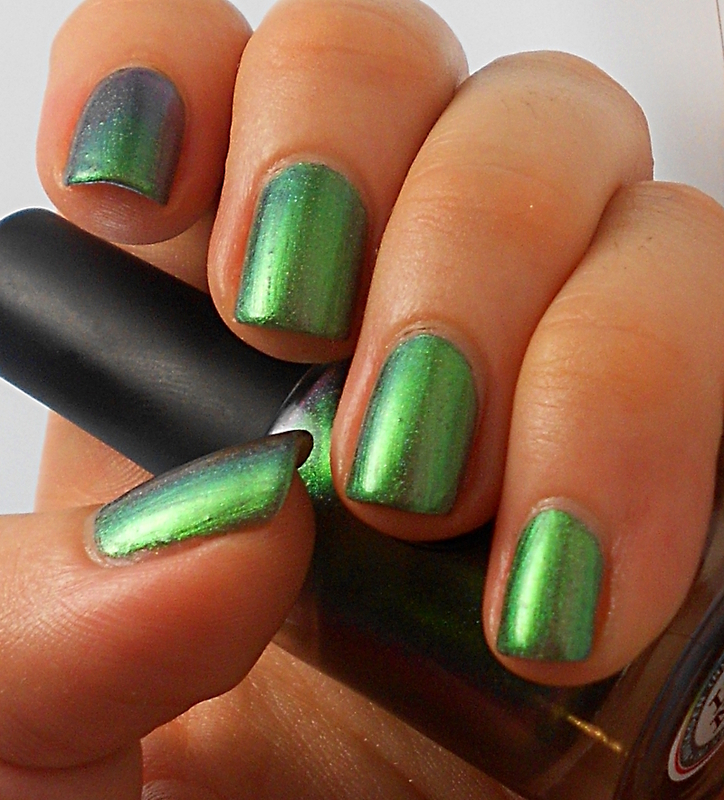 Today I am showing you Mutagen. 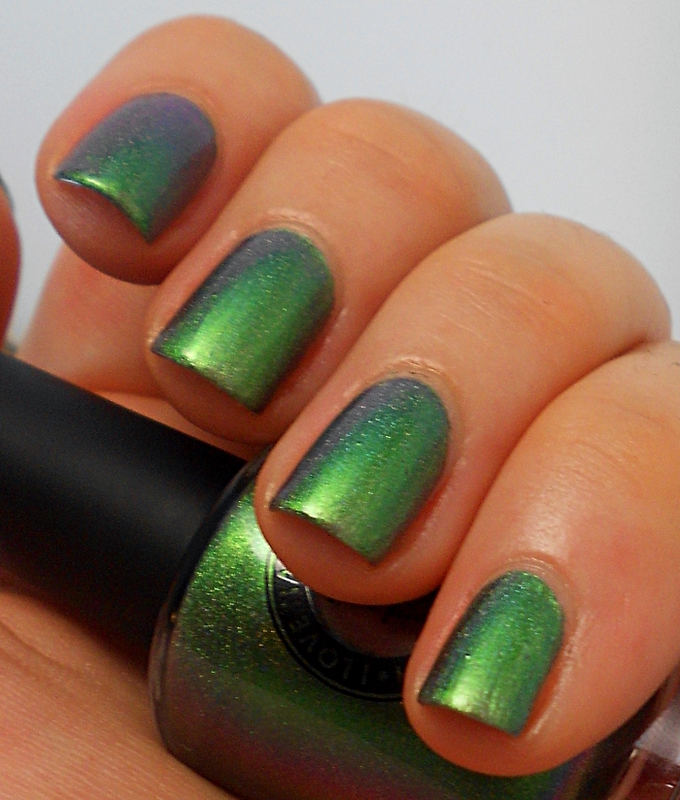 Be warned, this post is picture heavy, because this polish is so stunning that I just couldn’t stop! Mutagen is available for purchase here. 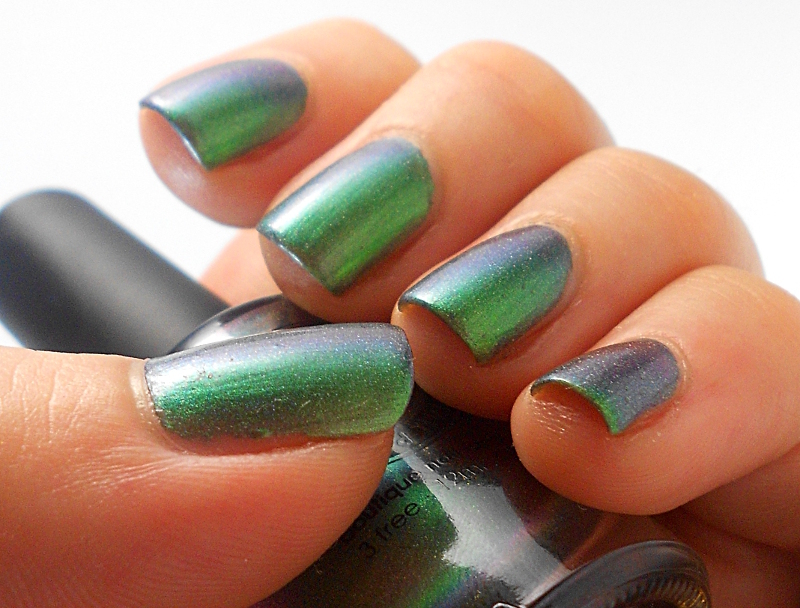 Shown is two coats of Mutagen with top coat. 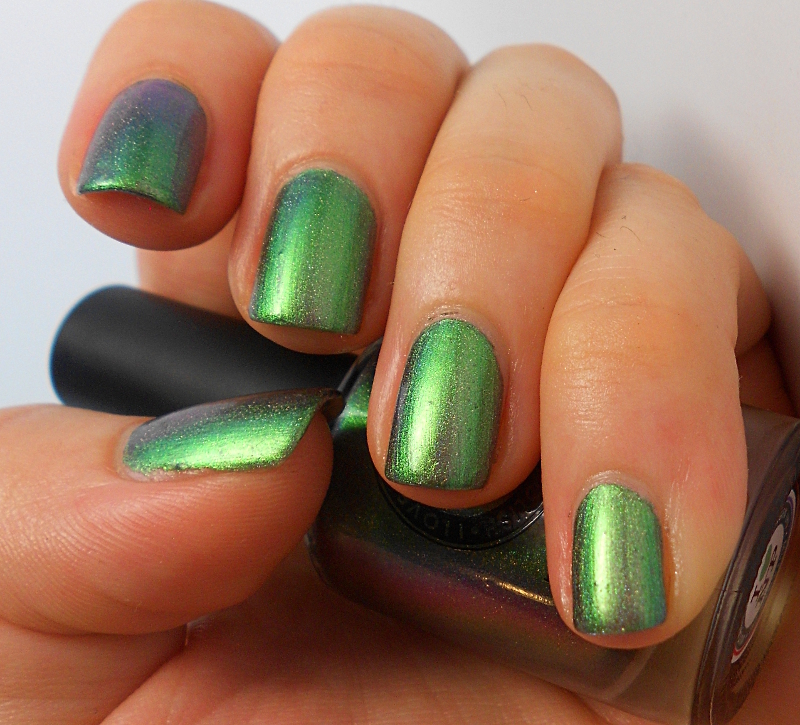 Mutagen has a stunning green base with shifts to orange, gold, and even purple. 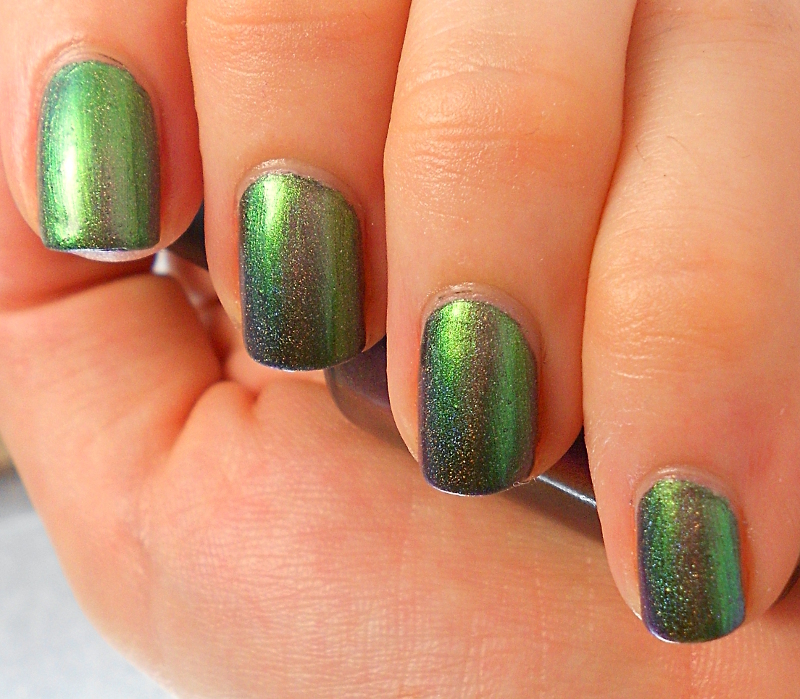 This was the first of my ILNP’s that I actually wore and I could NOT stop staring at my nails. 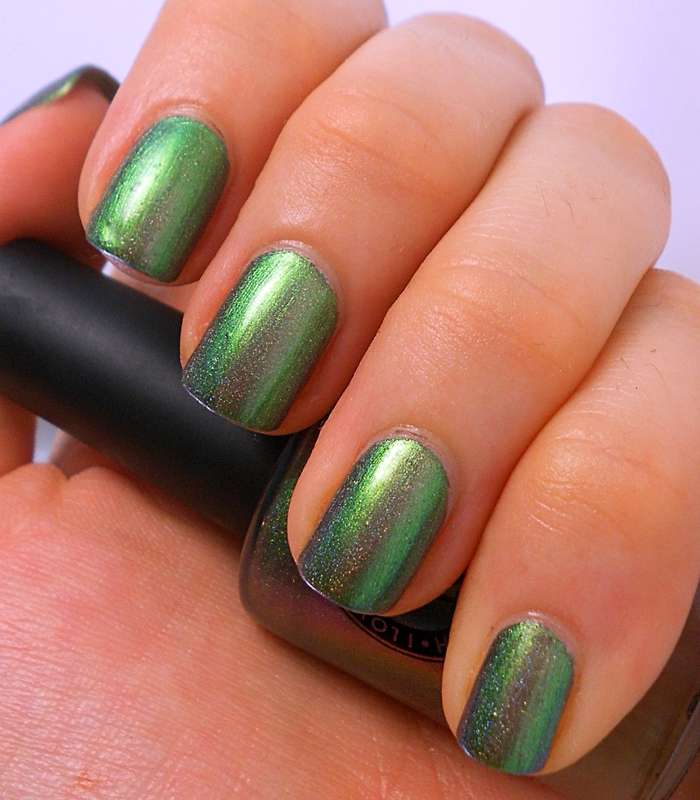 Every time I did, it made me smile, because this polish is simply stunning. The holo in Mutagen seemed to me to be slightly stronger than with the other ultrachromes, and in the sun it was transformed to a whole new level of beautiful. 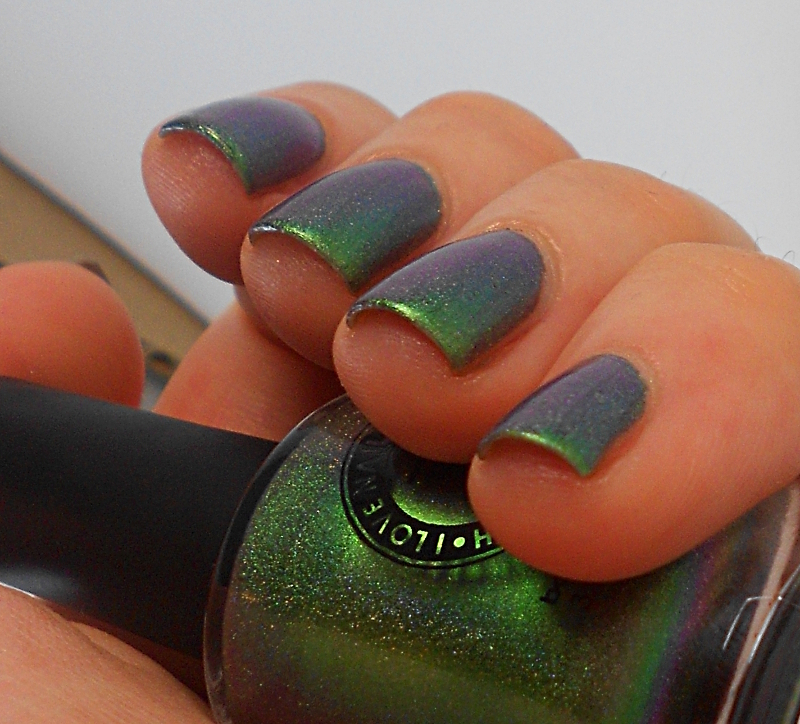 I don’t have any sunlight photos for you, unfortunately, but the holo was strong and stunning. Take a look at the bottle in the above picture to see a little more of the shift. It’s truly incredible. I know I said Birefringence was my favourite, but honestly, I can’t put it above Mutagen. I’ll just have to call it a tie. Are you as stunned by Mutagen (H) as I was? Haha I literally couldn’t stop staring at my nails with this one! It’s unbelievable!